The majority of individual policies currently on the market could not be sold on state exchanges in 2014, according to a new report. The report, published in Health Affairs and funded by the Commonwealth Fund, examined individual plans from several states and found that 51 percent of the plans fail to meet the minimum requirements established by the Patient Protection and Affordable Care Act (ACA). The law says that plans sold on public exchanges must cover at least 60 percent of the costs of treating a typical patient, a figure known as “actuarial value.” Most of the policies the researchers analyzed covered less than that, meaning the possibility of high out-of-pocket costs for patients. To meet the actuarial value targets for “bronze plans, “the lowest category, current plans would have to pay for more care. That likely means they would be more expensive to consumers. “The individual market of the future will sharply contrast with the market of the past decades,” said John Gabel of the University of Chicago. They do not say whether changes to the market will be good or bad for consumers, but they are likely to be a mixed bag. Supporters of the ACA say that new regulation of insurance products provide key consumer protections. Opponents believe that they will drive up the cost of insurance. “Deductibles will have to be lowered,” Gabel said. “The out-of-pocket limits may have to be lower. They will have to offer maternity benefits” as well as coverage for mental-health and substance-abuse. People who buy individual health insurance policies typically pay higher premiums and higher out-of-pocket costs than people who have employer-provided. Individual policies usually offer less coverage and, until the ACA fully becomes effective in 2014, can exclude coverage for pre-existing conditions. The ACA sets minimum standards for plans sold through the state-run exchanges. Slightly more than 50 percent of people on the individual market have policies that cover less than 60 percent of plan costs. One-third of individual policies pay 60 to 69 percent, enough to meet the lowest thresholds under the healthcare law. Many consumers will get more generous coverage if they purchase insurance through an exchange. But, according to the Congressional Budget Office (CBO), the boost in benefits could also increase premiums. “Premiums for health insurance in the individual market will be somewhat higher on average under (the healthcare law) than under prior law, mostly because the average insurance policy in that market will cover a larger share of enrollees’ costs for healthcare and provide a slightly wider range of benefits,” the CBO said. The increases would be partially offset by other policies that would cut premiums, but still come out slightly higher. Consumers won’t have to pay the extra costs, though, because the federal government will provide subsidies to help cover the cost of insurance. Approximately 62 percent of people who now try to buy insurance for themselves in the so-called individual market report that they can’t find an affordable policy, said Sara Collins, vice president for affordable health insurance at the Commonwealth Fund. People who do “often end up with coverage that’s really not adequate.” Enhancing current plans to meet the ACA’s requirements will probably raise consumer’s up-front premiums, Gabel said. “Other things held constant, the cost of the plan will go up,” he said. The ACA does not allow insurers to cherry- pick only healthy customers; adding sick people to insurance pools will also raise costs, he said. As the debate about the future of Medicare heats up, the program’s chief actuary estimates that 15 percent to 30 percent of healthcare expenditures are wasteful. Cindy Holtzman, a consumer advocate with Medical Billing Advocates of America, cited several examples, such as a Florida patient who was charged $140 for a single Tylenol. A patient in South Carolina paid $1,000 for a toothbrush. A patient in Georgia who used one bag of IV saline solution was billed for 41 bags for a total of $4,000. In the case of the Georgia patient, insurance paid the entire claim. “Usually any kind of bill under $100,000, they (insurance companies) don’t look at the details. And that’s where something like this can be paid in error,” Holtzman said. After Holtzman investigated, the bill was fixed, and the insurance company was refunded its money. 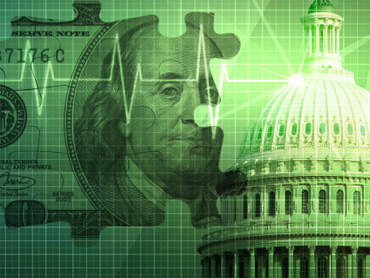 Medicare spending exceeded $500 billion in 2010. As much as $75 billion to $150 billion could be cut without reducing needed services. A potential cause is that Medicare’s reimbursement procedures do not track the appropriateness of the care provided. Medicare farms out its claims administration to private local contractors based on how quickly and cheaply they process claims. These contractors are not given incentives to audit the taxpayer dollars they spend; even if they wanted to, they would need data that is typically not found on the claim form. NEHI, an independent non-profit national network for health innovation, has recommended actions that would reduce wasteful healthcare spending by up to $84 billion. The plan was produced in collaboration with the National Priorities Partnership. One major area for savings is eliminating emergency department overuse. More than half of the 120 million annual ED visits can be avoided, representing a $38 billion opportunity for savings. Medication errors add up to seven million inpatient admission and outpatient visits involving serious but avoidable medication errors, representing a $21 billion opportunity for savings. Unnecessary hospital readmissions is another area where savings can be achieved. Seven million people are readmitted to hospitals within 30 days of discharge annually but 836,000 of these cases could be avoided, representing a $25 billion opportunity. The Institute of Medicine (IOM), a division of the non-partisan National Academy of Sciences, reports that “excess costs” – which translates to waste — in the American healthcare system cost $810 billion every year. Their findings? Overly-high insurance administrative costs absorbed by doctors and hospitals cost $190 billion. Insurance company inefficiencies cost $20 billion. Unnecessary services (brand name drugs instead of generics, repetitive tests and procedures, etc.) cost $210 billion. Too-high prices for doctors and hospitals cost $85 billion. High drug and device prices cost $20 billion. Errors and avoidable complications cost $75 billion. Inefficient delivery of services costs $ 80 billion. Fraud costs $75 billion. Missed disease-prevention opportunities cost $55 billion. The Obama administration’s announcement that Medicare Advantage insurance plans premiums will decline in 2012, at a time when enrollment is expected to rise, is good news for the leading health insurers in that segment. Wall Street analyst Ana Gupte said that the announcement suggests strengthening support in the administration for the privately-run versions of the government’s Medicare program, which covers the elderly and disabled. Medicare Advantage plans offer basic Medicare coverage with extras like vision or dental coverage oratremiums lower than standard Medicare rates. Health and Human Services Secretary Kathleen Sebelius said that Medicare Advantage premiums will average four percent less in 2012, and insurers running the plans believe that enrollment will rise by 10 percent. “Overall, we were very encouraged by the announcement and see this as reinforcing our bullish thesis on the Medicare Advantage and (prescription drug coverage) segments,” according to Gupte. It’s highly unusual to see healthcare insurance premiums falling. Reduced premiums and growing enrollment are the opposite of what insurers and Republicans predicted would happen to Medicare Advantage after the passage of the Patient Protection and Affordable Care Act (ACA). The ACA cut payments to fee-for-service Medicare Advantage plans by about $136 billion over the next 10 tears. Right before the law passed, American’s Health Insurance Plans predicted that “millions of seniors in Medicare Advantage will lose their coverage, and millions more will face higher premiums and reduced benefits.” So what accounts for the drop? The decrease in premiums doesn’t have a lot to do with policy decisions made in the ACA. It’s three outside factors that are putting downward pressure on Medicare. One is that Medicare costs are growing more slowly. Both in Medicare and in private insurance, the recession has seen patients using fewer medical services. This looks to be especially true in Medicare, where seniors might have more limited resources because they tend to live on a fixed income. The latest S&P Healthcare Economic Indices data indicates that Medicare spending appears to be rising at a slower rate than just a few years ago. Healthcare insurers warned that seniors can expect more costs and receive fewer benefits from their Medicare Advantage plans after payment cuts take effect. They point to projections from the Congressional Budget Office, which predicted Medicare Advantage enrollment would fall to just 7.8 million participants in 2019. “Medicare Advantage plans remain committed to the program and are doing everything they can to preserve benefits and keep coverage as affordable and possible for beneficiaries,” said Robert Zirkelbach of America’s Health Insurance Plans (AHIP). “However, as these cuts take effect in the coming years, Medicare Advantage beneficiaries will face higher out-of-pocket costs, reduced benefits, and fewer health care choices.” The group and its insurer members, who opposed many of the healthcare reforms before they passed, are now committed to implementing the law. Is Getting People on Medicaid Doing More Harm Than Good? To control soaring Medicaid costs, several states have started the new fiscal year by cutting payments to doctors, hospitals and other healthcare providers that treat the poor. Some experts say the cuts could add to a shortage of physicians and other providers participating in Medicaid. “Further depressing payment rates can only worsen the situation,” said Sara Rosenbaum, chair of the health policy department at George Washington University. She says some states cutting rates — South Carolina, for example — already have acute Medicaid physician shortages. Insurers and employers believe that cutting the rates will prompt providers to raise their prices for patients who have private insurance. “It’s always a concern that when providers get less from Medicaid, that they will shift the costs to private insurance so families and employers pay more,” said Robert Zirkelbach, a spokesman for America’s Health Insurance Plans (AHIP), the healthcare industry’s lobbyist group. States reducing Medicaid payments to physicians are Colorado, Nebraska, Oregon and South Dakota. Arizona, which cut rates in April, will impose another cut in October. States reducing payments to hospitals include Colorado, Connecticut, Florida, Nebraska, New Hampshire, North Carolina, Oregon, Pennsylvania, South Carolina, Texas, Virginia and Washington. New York cut hospital payment rates in April. In March, California okayed a 10 percent Medicaid cut to doctors and hospitals; those reductions are pending because of a lawsuit that has not yet been resolved. The payment cuts, which require federal approval, are part of an effort by states to cut Medicaid costs, typically the largest- or second-largest expense after education. A joint state-federal program, Medicaid serves more than 50 million low-income and disabled Americans. Under the provisions of the Patient Protection and Affordable Care Act (ACA), more than 16 million more people will become eligible 2014, with the federal government picking up the majority of the cost. To lure more physicians to accept Medicaid patients, the law raises rates for primary-care physicians in 2013 and 2014 to match those paid by Medicare. On average, states currently pay Medicaid providers approximately 72 percent of what Medicare pays. Federal-state Medicaid costs totaled $366 billion in fiscal 2009. The federal stimulus package gave states $100 billion to help pay their share, but that funding ended June 30, and “states are struggling,” said Laura Tobler, a policy analyst at the National Conference of State Legislatures. The ACA does not allow states to restrict eligibility for the program. Because of cuts in reimbursement, the Government Accounting Office (GAO) has found that fewer physicians are accepting children on Medicaid as patients. More than 75 percent of 932 doctors surveyed by the GAO reported difficulty when referring children with public insurance for specialty care, citing an overall shortage of specialists, and different waiting lists for children receiving Medicaid or Children’s Health Insurance Program (CHIP) benefits than children covered by private insurance. In 2010, more than 40 million children in the country received healthcare through one of the two programs which cost $79 billion in federal and state funds. Physicians serving rural areas are more likely to accept new patients with Medicaid and CHIP than doctors in urban areas. Rural primary-care doctors reported greater difficulty referring their Medicaid and CHIP patients to specialists than urban physicians.